Thomas R. Lynch is Professor Emeritus in the School of Psychology at University of Southampton. He was the Director of the Duke Cognitive Behavioural Research and Treatment Program at Duke University (USA) from 1998-2007. 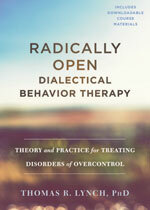 Professor Lynch is the treatment developer of Radically Open-Dialectical Behaviour Therapy (RO-DBT)—a new transdiagnostic treatment approach informed by 19 years of clinical research. 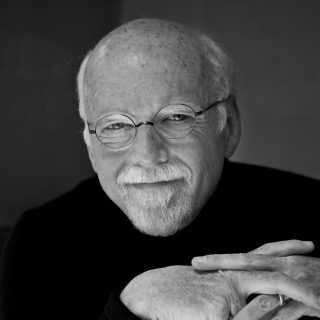 He has been the recipient of multiple large research grants from a range of sources, including the National Institutes of Health, National Alliance for Research on Schizophrenia and Depression, American Foundation of Suicide Prevention, the Hartford Foundation, the Wellcome Trust, and the National Institute for Health Research. He is currently the Chief Investigator of a multi- centre randomized controlled trial examining the efficacy and mechanisms of RO-DBT funded by the NIHR- Efficacy and Mechanism Evaluation programme (http://www.reframed.org.uk/; Lynch). He is a recipient of the John M. Rhoades Psychotherapy Research Endowment and a Beck Institute Scholar. He is recognized internationally as a world-leading expert in difficult-to-treat disorders; such as, personality disorders, chronic depression, and anorexia nervosa and is in frequent demand as a speaker internationally—e.g., Europe, USA, and Canada. He is the author of the RO-DBT treatment manual entitled Radically Open- Dialectical Behaviour Therapy for Disorders of Overcontrol (In press-Guilford Press, New York).